The U.S. tax code hasn’t been updated in over 30 years when Ronald Reagan was in the White House, but lawmakers have the best opportunity in years to pass tax reform that will spur growth among the independent supermarket industry. That momentum grew as the “Big Six”—leaders from the House, Senate, and White House—unveiled a tax reform framework they hope to see turned into legislation. The House and Senate recently took an important step by passing their 2018 budget resolution, including instructions allowing the Ways and Means Committee chefs to start cooking up the legislation. Lowering the tax rate across the board. Many industries are able to take advantage of narrowly structured deductions and credits to craft an effective tax rate in the single digits. Independent grocers have limited access to many of these deductions and pay at, or near, the top marginal rate.?? Maintaining the interest expense deduction. While most independent supermarkets do not generate meaningful amounts of interest income, many carry interest expense on their books. Grocers rely on debt to finance everything from daily operations to large renovations. Altering any piece of the deduction would slow economic growth and could lead to fewer jobs being created.?? Creating parity between pass-through entities and C-Corporations. Congress should not dictate decisions about or favor one type of legal entity over another. 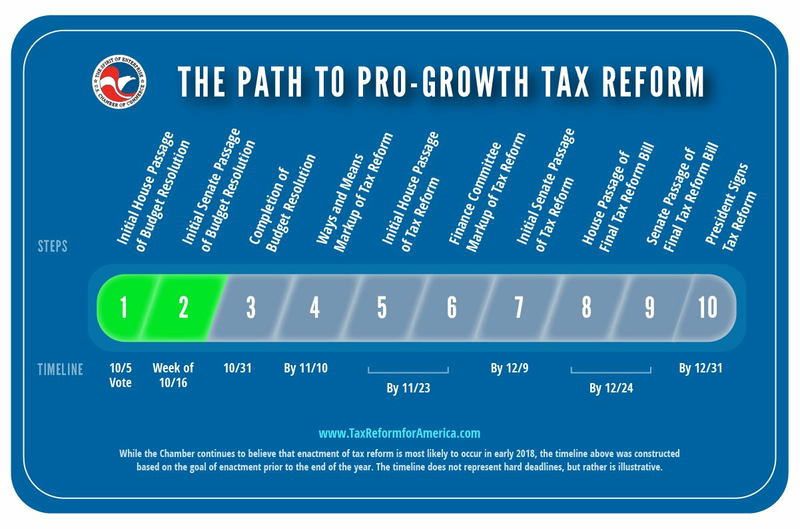 Tax reform must include both pass-throughs (which represent 95 percent of the business filing in the U.S. in 2012) and C-Corporations, and should create parity between the two structures. Both deserve a lower effective federal tax rate.? Preserving the use of last-in, first-out method of accounting (LIFO). The LIFO method of inventory accounting has been allowed since 1939 and is broadly used in the food wholesale and retail industry. LIFO helps protect against inventory price shocks that can result from inflation and is an important tool that aids the industry in long-term planning.?? Permanently repealing the estate tax. Well over half of the assets of a typical supermarket—the highest of any other industry sector—are not liquid, so the death of an owner creates a serious obstacle to the continuation of the business. Because the estate tax is assessed on the value of a business at the owner’s death, it often forces families to borrow funds to pay the tax. This tax could destroy family-held business, hurting communities by causing the loss of jobs. NGA will be closely monitoring each step in the process and encourage our members to stay engaged as well. Tell your Members of Congress: the time for tax reform is now!